Have fun with our own custom OnePlus case designs and start to really enjoy being creative! When you paid a lot of money for a phone, then it's really important to protect it, too! 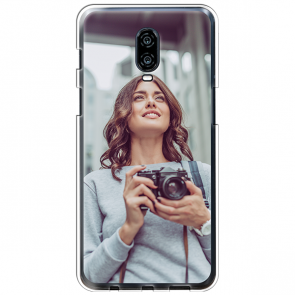 Here at YourCustomPhoneCase.com, it's our job to make sure that your custom OnePlus case is perfect for you and printed exactly how you designed it! We have a great user-friendly customizer to make it simple for anyone to be able to make your own OnePlus case by putting their favorite pictures, designs and logos onto a phone case that can fit the smooth and slim look of the OnePlus perfectly. You can even use our templates if you don't feel all too creative and build awesome collages in our site if you'd like you can even add a cool emoji and some text, anything is possible! Make your own OnePlus case today and protect your phone in some serious style that reflects you perfectly!